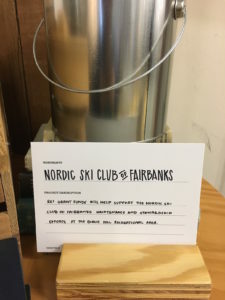 You can help the Nordic Ski Club of Fairbanks win grant money from REI! 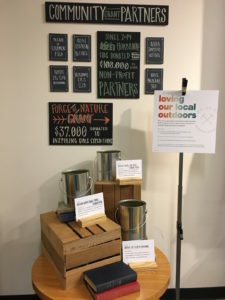 REI plans to give $20,000 in grant money to three groups for stewardship projects in the Fairbanks area as part of the company’s “Loving Our Local Outdoors” campaign. All the groups will receive some of the $20,000, but how much depends on REI members. —All REI members (including staff of the groups and REI staff) are eligible to receive a token after each purchase made between March 7 and April 8. —A certain amount of the funds have been set aside for “member choice.” Those funds will be divided among the three groups depending on the voting. The more tokens a group gets, the more funding it gets! —After the campaign is over, REI will report back to customers the total grant amount to each of the three local stewardship projects. The other two groups (the Interior Alaska Land Trust and the Interior Alaska Trails and Parks Foundation ) are great groups, too, so if you shop more than once and split your tokens among all three, we totally understand!